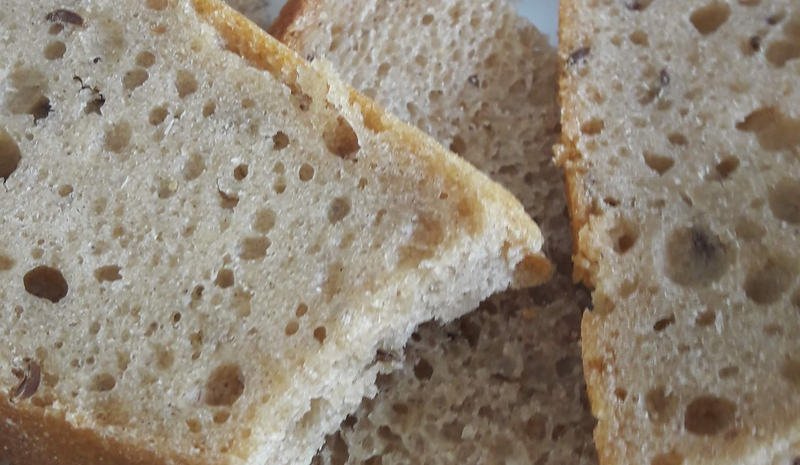 I have been spending many days in the last few months trying to make a good easy rye bread. Many of my attempts were just awful – not even good enough for the birds – more straight to the bin! 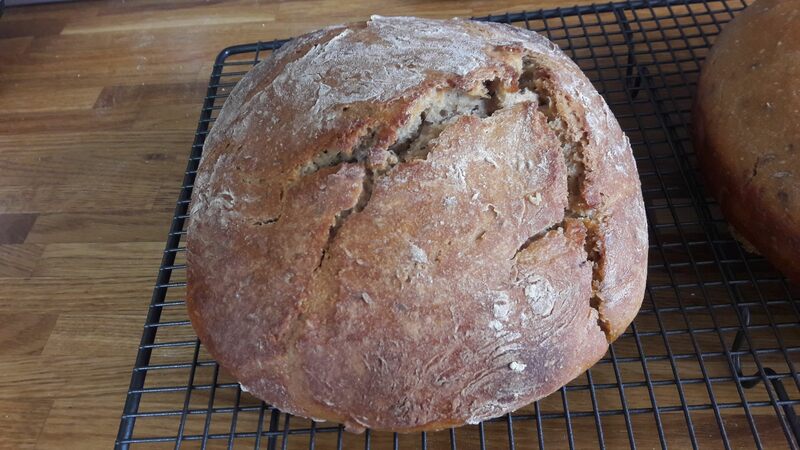 At last, I have found a recipe that is easy & it just uses rye flour and baker’s yeast & there is no kneading whatsoever! In fact, I got some fresh yeast from my local Polish shop and this was just so lovely to use. 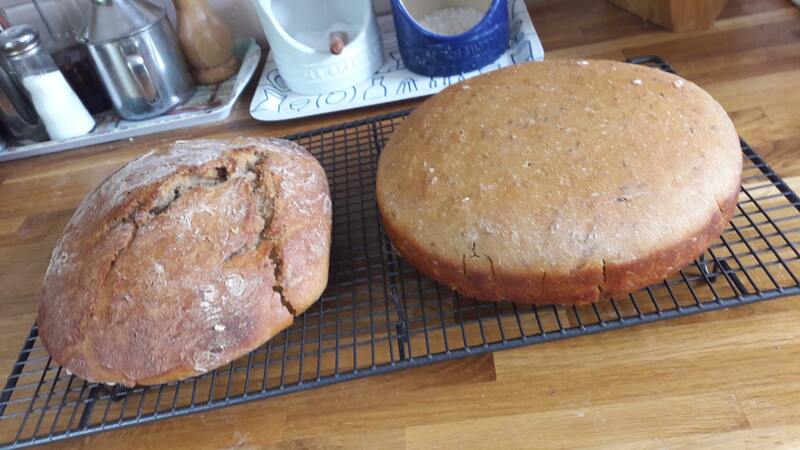 I made this twice, once with rye flour from the Polish shop and once with dark rye from Aldi. They both turned out well. You just mix the ingredients together with a wooden spoon to give a wet mixture a bit like porridge. The less you handle the mixture the better. Add the sugar and yeast to the water, mix well and leave it to start to froth. Put the flour, salt and caraway in a large bowl and mix together. Grease a 2lb loaf tin. Add the water and yeast mix to the flour mix and with a wooden spoon mix well to form a unified mass. You are aiming for a wet mixture rather like porridge. 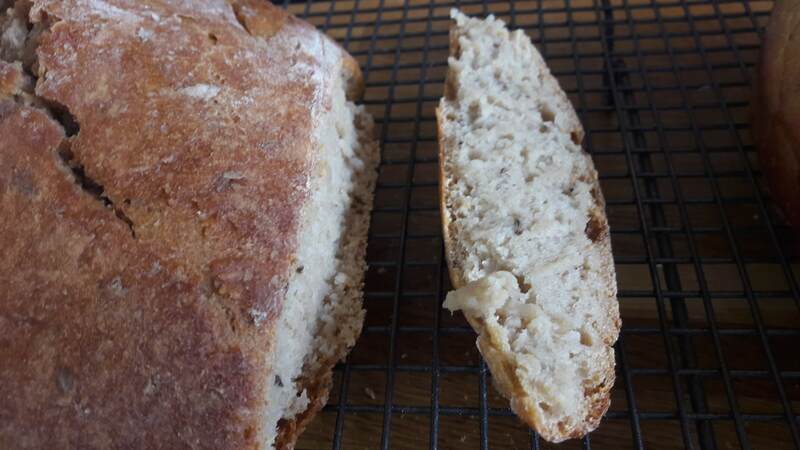 Using a large spoon or spatula put the mixture into the prepared loaf tin. Loosely cover the tin with cling film or similar – a recent tip I have got is to use a clear shower cap – this allows the dough to rise without touching the plastic. Leave the dough to rise in a warm place until dough has doubled in size (I found this took around 2 hours). Bake for around 30 -40 minutes – check after 15 minutes and cover with a piece of greaseproof paper if it is starting to catch on the top. 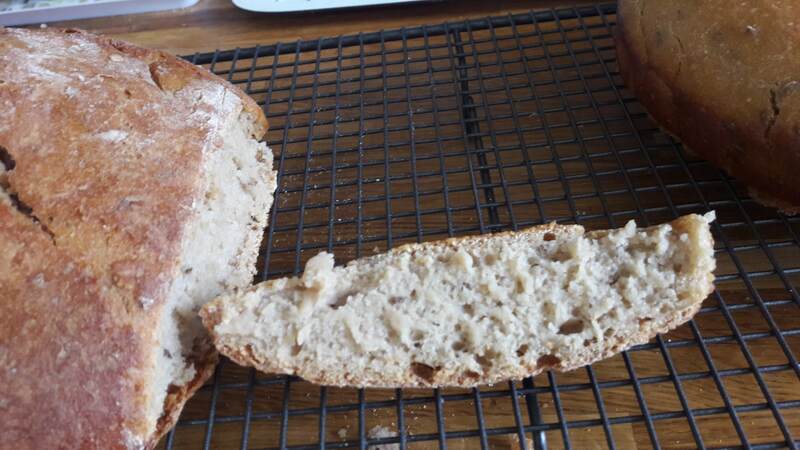 To slice the loaf, I have found that a cleaver type knife is actually easier than using a bread knife. You can place the slices in a plastic box and they freeze very well.